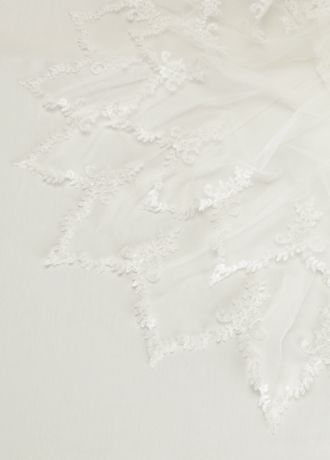 Unique and feminine, this two tier veil features enchanting pointed lace edge detail! Two tier veil is adorned with stunning point lace edge detail for a twist on a classic bridal look. Top tier measures 30" long. Bottom tier measures 32" long.